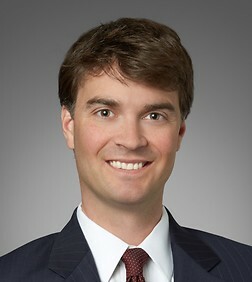 Thomas Proctor is a special counsel in the Business Trial Practice Group in the firm's San Diego office. Tom Proctor specializes in representing insurance companies in bad faith litigation. He has represented his insurance clients in a vast array of first and third-party bad faith lawsuits, including large first-party property losses; “cap off” lawsuits; complex coverage litigation involving environmental, progressive loss, and other long-tail liabilities; and class actions. In addition, while Mr. Proctor’s practice is focused primarily in California, he has also represented insurers in “institutional bad faith” litigation across the country. Mr. Proctor’s clients include Allstate, State Farm, Travelers, Infinity, Allianz, and the Automobile Club of Southern California. Wyskiver v. Allstate: Represented insurer in a jury trial and obtained a defense verdict in a case alleging breach of contract and bad faith. City of Carlsbad v. Allianz: Represented liability insurer against claims that it had improperly denied coverage for property damage that allegedly arose out of a progressive loss occurring over a period of 30 years. Excess Judgment Cases: Represented insurers in multiple cases where the insured alleges that the cap is off the policy, and the underlying judgment is more than $10,000,000. Wildfire Litigation: Represented insurers in numerous cases arising out of the 2003 and 2007 southern California wildfires, primarily involving claims for underinsurance. Institutional Bad Faith Litigation: Represented a national insurer in cases throughout the country alleging that the insurer had an institutionalized practice of low-balling claims.